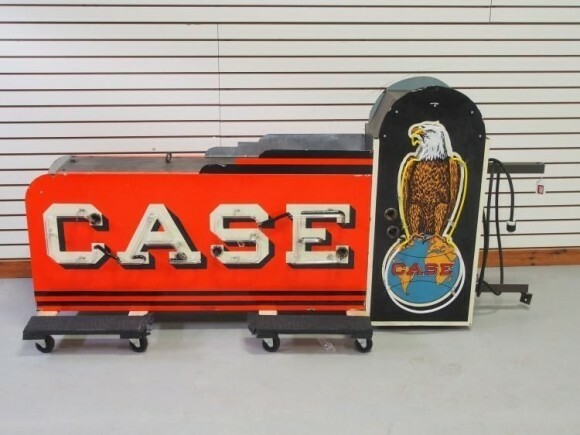 This large Case Neon Diecut sign incorperates the well designed Case Eagle to the side of the text. The sign is red and has text that reads “Case.” The Eagle sits to the right atop the globe. This sign is quite large, and measures in at 72″ by 48″.